Brushes are great when used in conjunction with rollers for large flat areas. Painting a garage door is a easy way to update the look and feel of your home. It can also protect your door from the elements and extend its life. As with any painting job, most of the work is in the preparation – get this right and you’ll have a finish that will look great and stand the test of time. Before you begin, ensure you’ve picked the best weather. Not too hot, not too cold, and no chance of rain or strong winds. It’s also recommended not to paint the garage door in direct sunlight, but this can’t always be avoided. The paint you choose will depend largely on the door material, which is generally metal or wood. Whichever material your garage door is made of, you need to use an exterior paint. To make the job a lot easier, choose a paint that has a primer included and then you can skip applying a coat of primer. How much paint will you need? As a base estimation, you need one litre of paint for every 16m2. Multiple the height of your door by the width and then divide by 16 – this is the base number of litres you’ll need. The colour – if you’re covering up the same colour, you’ll need less paint. The door material – wooden doors need more paint than metal. 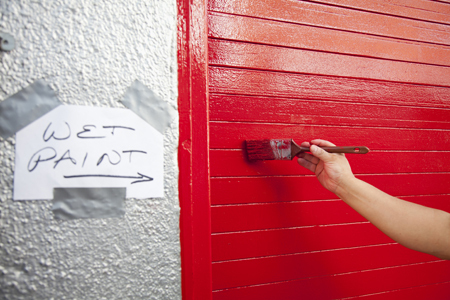 The paint you’re using – check the can to see if the coverage is right. To a lesser degree, the amount of paint you use will depend on the tool you intend to apply it with. 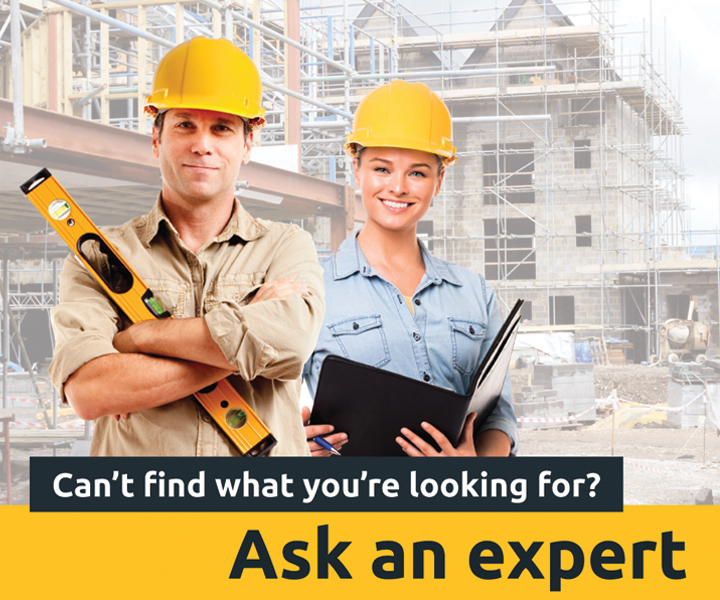 With these factors all affecting the final amount needed, it pays to have a chat to the salesperson who can offer expert advice with regards to your door material and other factors. Choosing your tools: brushes, rollers, or spray? Brushes are great for doors with many nooks and crannies to ensure the paint covers the entire door, especially when painting roller doors. They’re okay for large, flat surfaces but are more time-consuming and it can be difficult to get a smooth, professional finish across the whole surface. Rollers are ideal for painting garage doors with large, flat surfaces, such as panel or sectional models. They can cover a large section in a small amount of time, while providing a smooth finish. They will, however, need to be used in conjunction in brushes to ensure cracks and edges are covered. Spray applicators are a quick way to apply paint – but they can be expensive, messy, and wasteful. If you’re going to get a lot of use out of a spray applicator – for example, you’ll be painting many of other exterior surfaces – the investment may be worthwhile. If you’re only doing the odd painting job though, the paint brush and roller combo works well. The first step is to lightly scour the door’s surface with coarse sandpaper or a wire brush. Which one you use will depend on the material the door is made from - sanding is better for wooden doors, while metal doors need a wire brush. Once the door has be scoured, rinse it down with water and a diluted detergent to remove any remaining dust, grease, or dirt that could create bumps in the finished paint job and cause the paint to chip. When the surface is completely dry, you’re almost ready to start painting – just one last step. Protect all the bits you don’t want painted. Using painter’s tape, cover any framing and hardware like locks that will not be painted. Cover the surrounding ground with a drop cloth. Begin by painting the areas of the door that will not be visible once the door is closed. When these have dried completely – and it needs to be completely or the paint will ‘stick’ to the surrounding framework – close the door and paint the remainder of the door, working from top to bottom. Depending on the door, the paint used and the colour, a second layer of paint may be required. Paint the second coat at right angles to the first – i.e. if the first coat was painted using horizontal stripes, paint the second with vertical stripes. For sectional doors, you’ll need to work paint into the cracks between the panels.